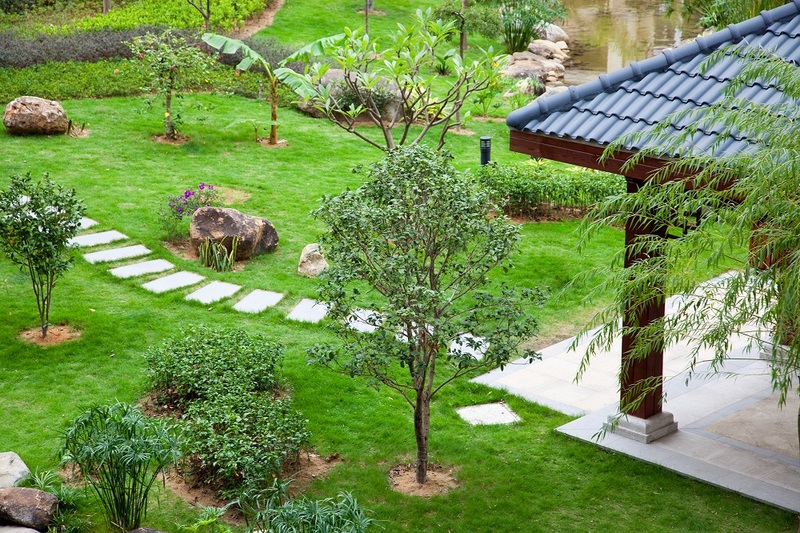 Would you like to improve the look of your yard while adding a practical walkway? Using stone and other hardscape is a great, inexpensive way to add a little “something extra” to your garden or yard. Today we are going to talk about 5 steps to build a simple stone walkway. 1 ) Design the walkway – The first step is mapping out the walkway with spray paint or strings. This step should also include clearing the walkway itself-which can mean pulling up sod, weed eating, or removing pine straw. 2 ) Lay Stones – Assuming that you have already ordered your stones from Brackman’s Stepping Stone Rock and Garden Center, LLC, the next step will be laying the stones along the walkway that you have cleared. This works best if you first apply 4 inches of limestone as a base with a little sand on top to help with leveling (see Step 3). The limestone base is essential to help keep the flagstone/pavers from shifting or cracking. Your Stones should be laid about 6-8 inches apart. 3 ) Level the Stones – I realize that not everyone will be this particular, but leveling your stones can be important if they are placed closely to your house. Leaving a slight slope away from your house will allow water to flow away-out from the house. 4 ) *Optional: Install a Weed Barrier & Gravel – Installing a weed barrier will help keep weeds from over-taking your new stone walkway and will significantly reduce the maintenance involved after building your walkway. If you decide to install gravel, I would recommend using a color that is complementary, yet contrasting. This will provide a nice clean look, while avoiding you and your guests from straining to see the walkway in dim light. 5 ) Add Edging – Whether you decide to install gavel, mulch, or pine straw, installing edging will help to keep it in place. For the edging itself, you can use stone pavers, black metal/plastic stripping, or any type of edging that you desire. To avoid tripping over the edging, you can place the edging itself in a small trench, leaving it about 1 inch over your gravel or other filler. Do you prefer gravel, straw, or mulch? What type of edging do you like? Tell us about your experience building a own stone walkway by leaving a comment below. If you would like the professionals at Brackman’s Stepping Stone Rock and Garden Center, LLC to help with your hardscape installation, give us a call today at 601- or email us at thesteppingstone@live.com. 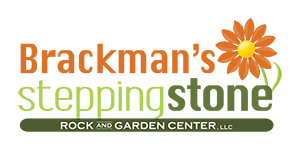 Thanks for stopping by Brackman’s Stepping Stone Rock and Garden Center, LLC’s new website. Please feel free to contact us if you have any questions or suggestions for us. In the coming weeks we will have news, gardening & landscaping tips, and more right here on our blog.